For the first few years of Nutrition Genome, we tested the HLA genes for gluten sensitivity and peanut allergies. After reviewing close to 1,000 reports, I plotted out the results for people who had variants in the HLA genes and actually had a true gluten sensitivity or celiac disease. The results showed that a very small percentage of those with variants in the HLA genes actually exhibited gluten intolerance or celiac disease. I reviewed this with our advisory team and compared results with other practitioners. They found the same results. Published research also found that approximately 30 percent of the general population have variants in the gluten sensitivity genes HLA-DQA1 and HLA-DQB, yet only 3% of these individuals develop celiac disease with the diagnosis being more than 2 times higher in females than in men. Since celiac disease can occur at any point on a timeline between early childhood and the elderly (with a second peak diagnosis at 40 years old), this points towards an epigenetic effect. The HLA genes are still used as part of the diagnosis for celiac disease, but it has been concluded that variants in HLA cannot alone determine celiac disease, non-celiac gluten sensitivity or a wheat allergy. 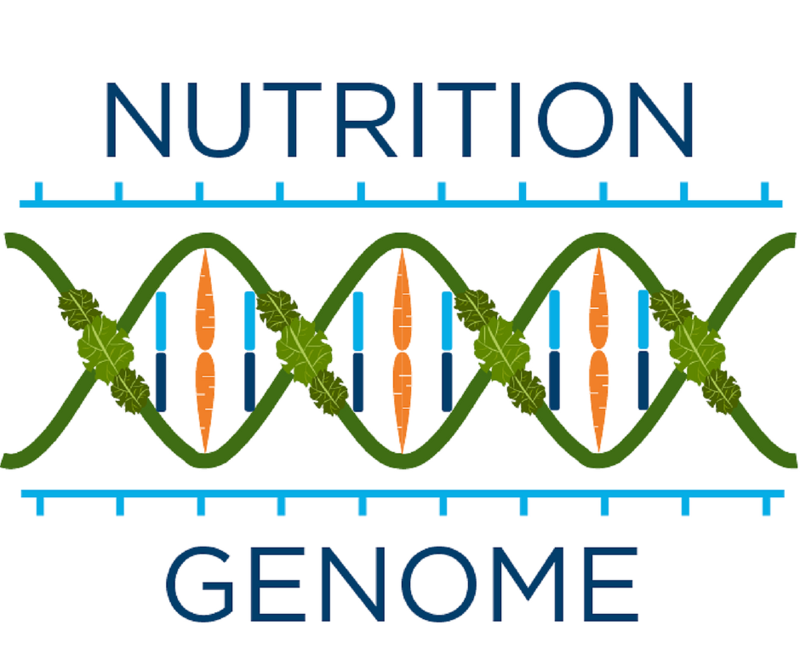 Therefore, the HLA genes were removed from the Nutrition Genome Report to prevent further confusion. Where I think the genetic research needs to move is discovering the increased risk of intestinal permeability and alterations in the microbiome from specific exogenous sources that lead to celiac disease. Celiac disease was first described by the Greek physician Aretaeus from Cappadocia in the 2nd century, recognized by life-threatening diarrhea, malabsorption, weight loss, neurologic disorders, and osteopenia. Other symptoms that have been observed included anemia, edema, peripheral neuropathy, and bone or joint pain. In the last 20-50 years, the rate of celiac disease went from an average of 1:1000 to 1:100. Research has shown that on a global level, the rates of celiac disease are not related either to the amount of wheat consumed by each country or to the prevalence of the HLA DR3-DQ2 and DR4-DQ8 genotypes worldwide. 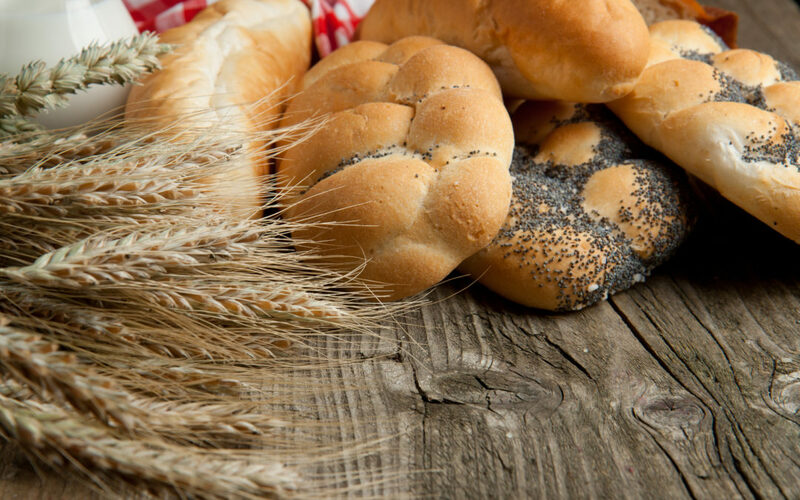 Why Has Gluten Sensitivity Skyrocketed Around the World? A higher incidence of diabetes, autoimmune disorders and the genetic pool of relatives with celiac disease that have increased the risk of celiac disease by 2.4% to 44%. Ethnic genetic differences with Northern Europeans showing a higher frequency of celiac disease, low frequencies in populations in South-East Asia and the virtual absence of HLA-DQ2 gene variant in Japan. Aside from the increased risk from diabetes and autoimmune disorders (but not the root cause), all of these theories have yielded conflicting results. Breastfeeding promotes a gut microbiome that enhances the epithelial barrier and has been found to be protective against a number of autoimmune diseases but failed to explain the differences in individuals with gluten intolerance. While celiac disease is considered an immune-based disorder triggered by ingestion of gluten in certain susceptible individuals and can occur in adulthood, a specific change in the intestinal microbiome has been suggested as the epigenetic trigger. Antibiotics, NSAID’s, Sugar and Glyphosate: The Perfect Storm? The statistics highlight that something dramatic appeared to change in the last 20-50 years for the rate of celiac disease to go from 1:1000 to 1:100. If none of the previous hypotheses panned out, what is something that could have caused a dramatic change to the response to gluten? Antibiotics, NSAIDs, sugar, and glyphosate all share a common theme: they all disrupt gut bacteria and increase the risk of gut permeability. Once gut permeability occurs, food allergies rise along with other health disorders. This is why you often see individuals having multiple food allergies with large protein molecules like gluten and dairy. The spike and overuse of antibiotics are now well known, with major implications including alterations in the microbiome and antibiotic-resistant bacteria overgrowth. It is now known that antibiotics can change your gut microbiome for a year. NSAID’s (aspirin, Motrin, Advil) damage the intestinal lining and their use have increased over time, especially in Caucasian women. Fructose – often seen as high fructose corn syrup – has been connected to alterations of the tight junction proteins affecting gut permeability and the artificial sweetener Sucralose has been found to destroy up to 50% of intestinal bacteria. From the 1970’s to the early 2000’s, high fructose corn syrup use increased dramatically and was in practically every processed food. Studies have linked glyphosate – also known as Round-Up and sprayed on GMO crops – to non-Hodgkins lymphoma, DNA and chromosomal damage, ADHD, Alzheimer’s Disease, autism, birth defects, various forms of cancer, celiac disease, colitis, heart disease, infertility, inflammatory bowel syndrome (IBS), kidney disease, liver disease, and Parkinson’s disease. Antibiotics, sugar, NSAID’s and glyphosate all harm good bacteria, affect the tight junctions and intestinal permeability of the digestive lining, increasing the risk of food sensitivities like gluten. The variable amounts of each along with susceptibility to the damage could all help explain the diverse epigenetic outcomes. At age 70, my dad had to go through an aggressive round of antibiotics. Shortly after, he developed an allergic response to both gluten and eggs. He had consumed both almost daily for his entire life. The antibiotics had destroyed his good bacteria and led to leaky gut syndrome. Leaky gut syndrome is where the tight junctions loosen and there are perforations in the intestinal lining, allowing undigested protein molecules to enter the bloodstream and elicit an allergic response. What was really interesting is that gluten would cause his forehead to break out in hives, illuminating the gut/brain axis. After two years of rebuilding his gut lining, the only gluten he can tolerate now is sourdough bread made with a sourdough starter, not yeast. This is due to gluten being reduced by a longer fermentation time (thanks to Lactobacilli), and can actually reach gluten-free levels at the 48-hour mark. In 2010, glyphosate was patented in the U.S. by Monsanto as an antibiotic. In 2016, UCSF discovered glyphosate in 93% of urine samples collected across the U.S., prompting the discovery of alarming amounts of glyphosate found in bread, cereals, crackers, cookies and chips, lentils, chickpeas, soy, and corn. In animal studies, glyphosate has been found to decrease the beneficial probiotics Lactobacillus, Bacillus, Bifidobacterium, and Enterococcus even at low concentrations, deplete the amino acids tyrosine, tryptophan, and phenylalanine, inhibit the CYP detoxification enzymes, and deplete manganese. This combination all harms the integrity of the intestinal barrier. Lactobacillus plantarum is depleted by glyphosate and one of its functions is to enhance the expression of genes involved in tight junction signaling to improve the intestinal barrier. It has also been found to be depleted in autism and consuming Lactobacillus has been found to be effective in reducing abdominal pain and bloating in IBS patients. Lactobacillus plantarum also has an unusually high manganese requirement for growth, and therefore low manganese could affect the SOD2 gene (especially for those with heterozygous and homozygous variants) and the microbiome, as seen in colitis. This depletion of manganese has perhaps been majorly overlooked for protecting the intestinal barrier not only against food allergies but also neurological disorders and infertility. Manganese deficiency has been linked to glutamate overexpression in the brain in association with autism, Alzheimer’s disease, and other neurological diseases. Sperm motility depends on manganese, and researchers believe this may partially explain increased rates of infertility, especially since oxidative stress has been confirmed to be one of the major causes of male infertility. 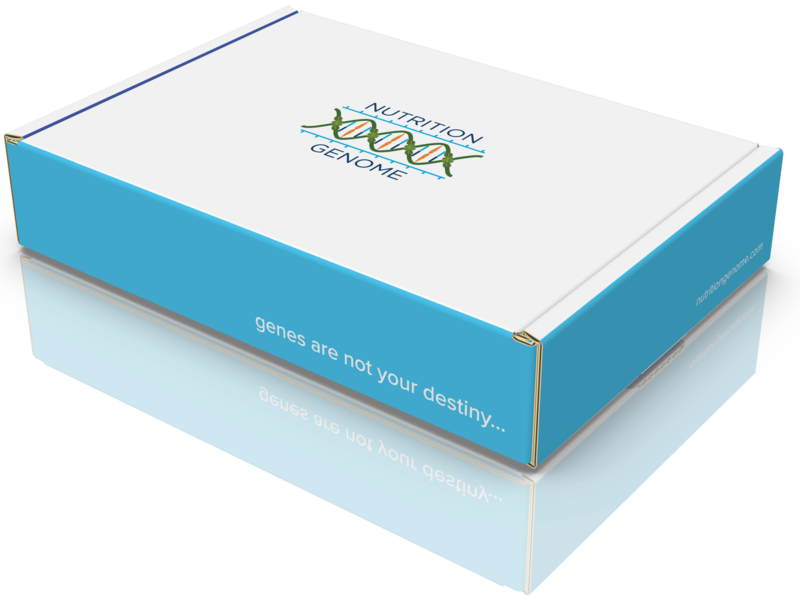 Review the genes FUT2 (Digestion section), SOD2 (Antioxidant and Inflammation section), MTHFR (Methylation section), MTHFD1 (Methylation section), CYP2C9*2 (Detoxification section) CYP2C9*3 (Detoxification section) and GAD1 (Neurotransmitter and Mental Health section) in your Nutrition Genome Report and how to turn your weaknesses into strengths. Antibiotics and glyphosate may affect folate levels due to the depletion of folate-producing bacteria and NSAID’s deplete folate. Therefore folate genes like MTHFR and MTHFD1 are also relevant. Avoid the use of antibiotics, refined sugar and NSAIDs when possible. It may take a year to rebuild your microbiome after using antibiotics. Do an inventory of your diet and find out where you may be ingesting higher amounts of glyphosate. The biggest offenders are non-organic soy, corn, wheat, lentils, chickpeas, and tap water. Cultures all over the world have homemade soup and stock as a staple. Include homemade bone broth weekly to help maintain a healthy intestinal barrier. Gelatin, collagen and the spectrum of amino acids in broth are responsible for promoting probiotic growth, and healing IBS, ulcerative colitis and acid reflux. Include fermented vegetables in your diet, especially with sulfur-rich vegetables like garlic and onions (sulfur helps detoxify glyphosate). Lactobacillus plantarum is a folate producing strain common in fermented vegetables. If eating rye, barley or wheat, choose fermented versions like organic sourdough made with a sourdough starter, not yeast for the easiest digestion. Avoid all other sources of wheat when possible.